Since the beginning of the new millennium, a street art scene in Spain has emerged and became one of the most vibrant in Europe. 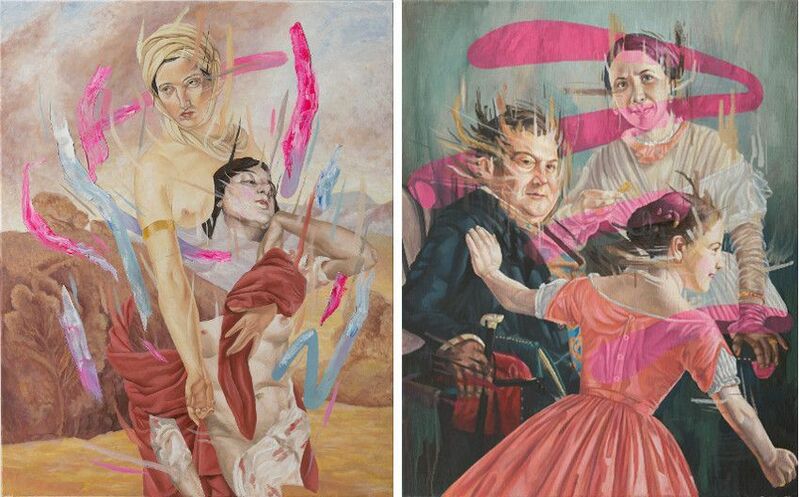 Among many Spanish urban artists who gained wide recognition and acclaim is Uriginal, a Barcelona-based creative who became known for his pieces inspired by historical masterpieces or popular imagery. 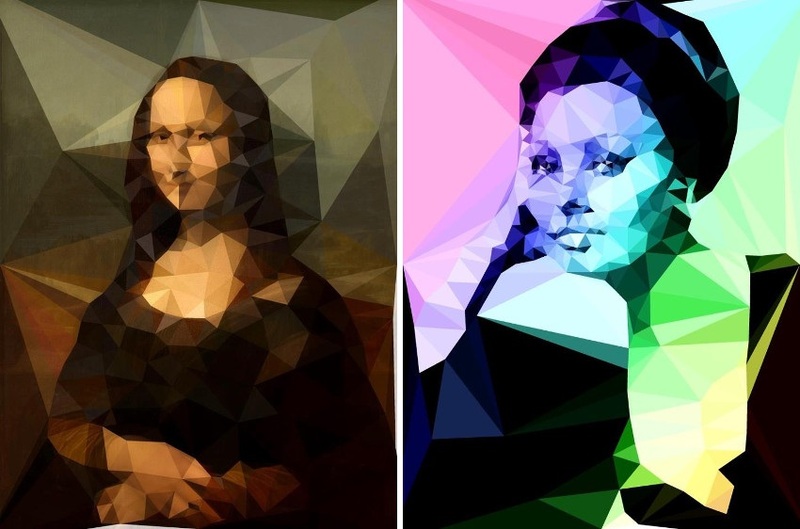 He brings to life the famous subjects of iconic paintings by utilizing bright colors and bold lines, along with the use of a kaleidoscope geometric pattern throughout many of his artworks. His pieces grace the walls throughout Barcelona, and they have been shown at galleries in the capital of Catalonia region, as well as beyond. 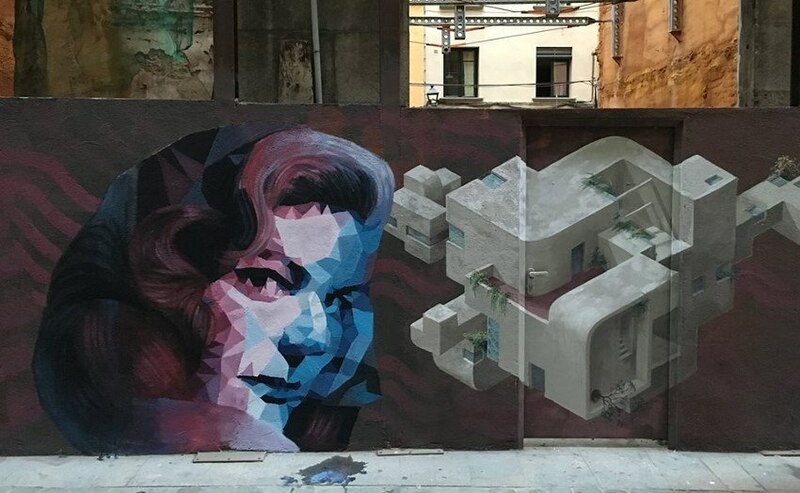 Although Uriginal has been heavily involved with the development of street and urban art over the last decade in Spain, he has also produced studio works and has exhibited his pieces in galleries. In April 2015, he participated in group show Endangered Species, along with the nineteen international contemporary artists who depicted one animal in their artworks which is under threat of extinction. Organized by MYA Gallery in London and World Land Trust, the exhibition aimed to promote awareness of the species that are on the verge of disappearing forever. Earlier the same years, his work was included in the Kaleidoscope group exhibition also at the London-based gallery. 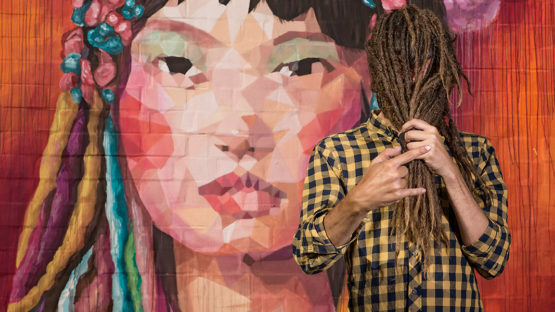 Most recently, his art was on display in group urban art show entitled Barcelona Mia at Galerie Celal in Paris along with the work of such artist as Pez, Mina Hamada, and Zosen. The pieces made by Uriginal – whether it is the recreation of Vermeer’s Girl with a Pearl Earring, Zhenshi’s portrait of the Chinese leader Mao Zedong, or celebrities portraying – seem frozen in time, focused on a subject, a symbol or an event. His characters are tessellated mosaics, seemingly in constant alteration, as if they were appearing or disappearing. The vivid color, humor, and irrepressible creativity, are all part of Uriginal’s alluring visual language. Uriginal lives and works in Barcelona.